We are so excited to be starting another year in the Titan Garden at River Place Elementary. Another year of planting seeds and plants. Another year of stomping wildflowers only to see them emerge in the spring with an explosion of color. Another year of teaching kids where food comes from and how we can care for the environment around us. But we want to do so much more, like help fund student garden art and other projects for the garden. And that’s where YOU can help. 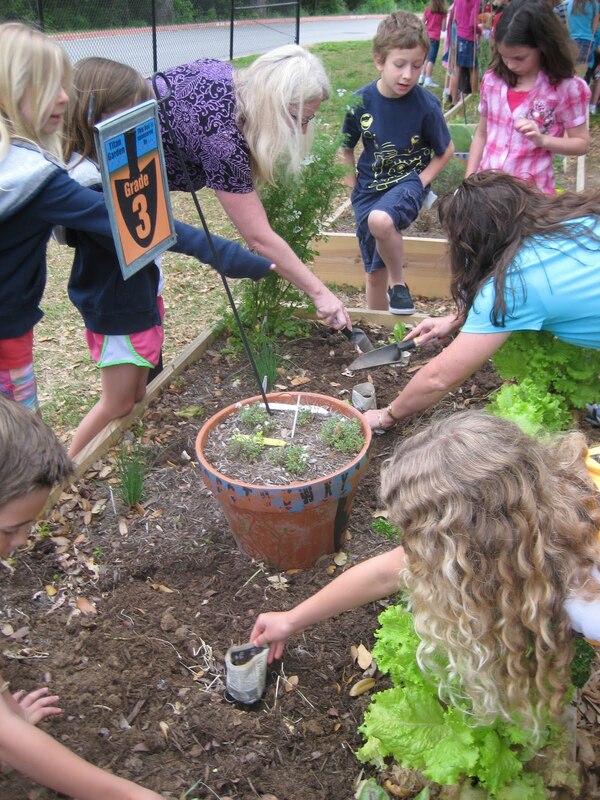 Green Ribbon Schools is a fantastic organization that encourages school to promote healthy living, connections with nature and outdoor play and study to promote a student’s growth and development. So take a moment right now and post our school name to help us win $250-and watch our garden grow! This is the view approaching my house- and there’s a little extra oomph tho this view this morning. That’s because our Cenizo (Texas Sage) on the corner has burst into a vivid display of purple this morning. 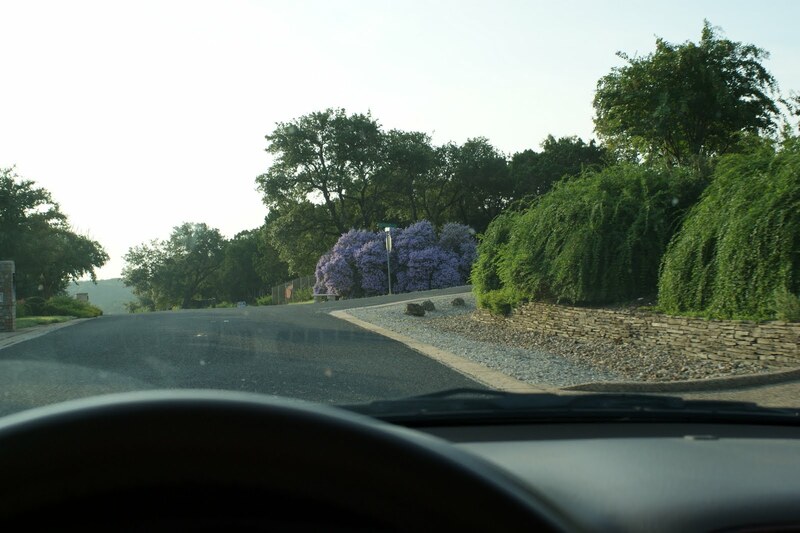 These bushes are about 10′ tall and a good 25′ across, so it is quite a sight. I noticed a few days ago that the Cenizos bloom was sneaking up on us. As I was waiting for Jack’s bus, I saw little white buds all over the bushes. These bushes usually have a huge bloom around the time we have a big rain, especially if a dry season has preceded it. Well, we definitely had a downpour thanks to Tropical Storm Hermine (14″) and not much rain prior to that so the conditions were perfect. I love Cenizos. Drought tolerant once established, deer resistant, and regular displays of color. I think we might have a variety called Green Cloud as ours are not as silvery-gray and many that I see around town. There are also varieties that bloom a bit bluer and some that bloom white. I convinced my parents to plant some of these in their backyard in Dallas and wouldn’t you know it they were rewarded with blooms just a few weeks later. 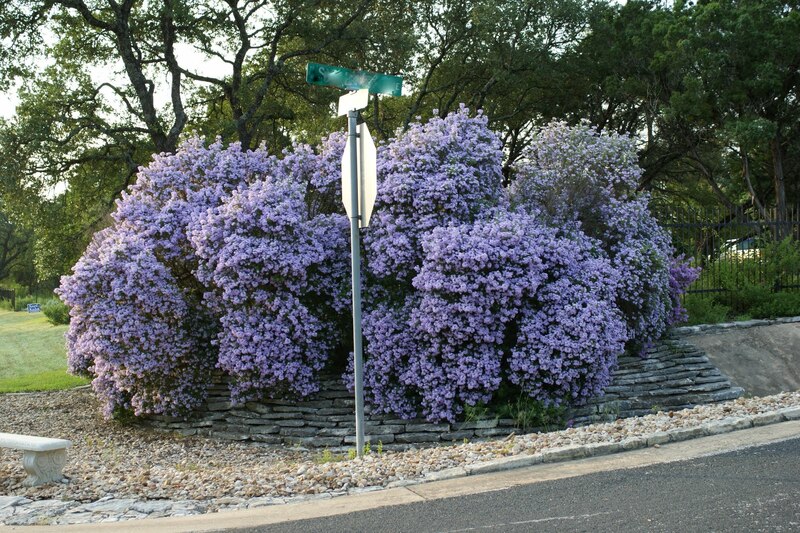 A great addition to any Texas landscape! 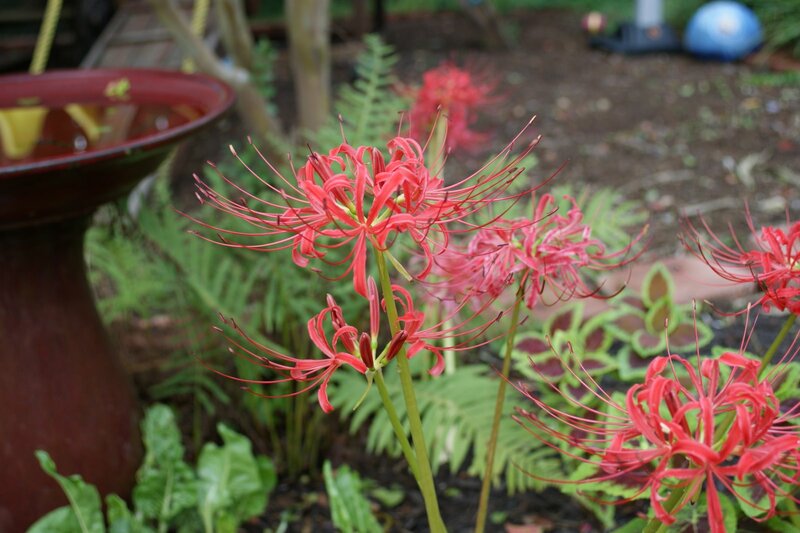 Red spider lilies emerging. After 2 days of torrential downpours. Take that, Hermine!